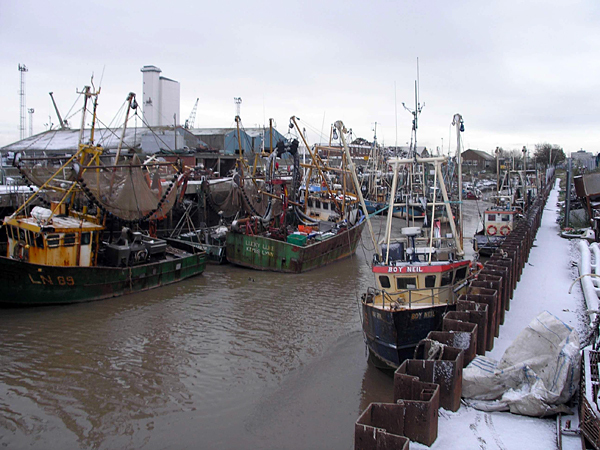 Commercial Fishing and Aquaculture » The Wash and North Norfolk Marine Partnership. Pink shrimp used to be a major fishery for Boston and King’s Lynn fishermen, on par with the other three fisheries. The stocks are still there but the market demand declined several years ago, so that at present there is only one boat occasionally fishing pink shrimp. Other species are fished in The Wash and are important to individual fishermen, for example, some boats fish for whelks during the winter and spring, and a few boats from Wells-next-the-Sea visit The Wash to fish for crab. Aquaculture is the growing of aquatic species, whether plants or animals, by people – the watery equivalent of farming on the land. 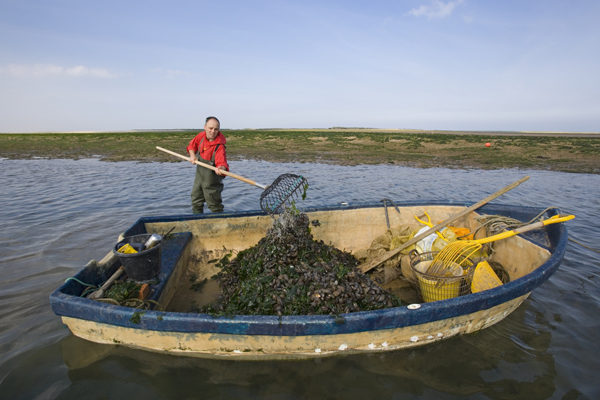 Cockles, mussels, and oysters, are all suitable for marine aquaculture and are grown within The Wash and at sites on the North Norfolk coast. Mussels are the main aquaculture species in The Wash and North Norfolk. Small seed mussels are bought in by the fishermen to be grown to a marketable size on “lays”, privately rented plots of seabed (sandbanks in The Wash, suitable margins of creeks and channels in North Norfolk). Traditional mussel harvesting at Blakeney, Norfolk. The small seed mussels are often found in dense beds at locations where they are extremely prone to loss in storms, siltation from shifting sandbanks, or aggressive predation by carpets of starfish. Re-location by fishermen is then effectively utilisation of a natural resource, which could otherwise be lost. Small cockles can be transplanted and grown on lays in the same way as mussels, although handling of the juvenile cockles is trickier and cockles generally prefer ground conditions to mussels. There is much less cockle cultivation than mussel cultivation. Cockle cultivation is generally aimed at the premium live trade for larger cockles. Oysters are grown in bags on “trestles”, low tables raised just off the ground using the same techniques as in France. It is a highly labour-intensive form of aquaculture, which requires significant up-front investment by the fisherman in equipment and seed oysters. The oyster bags have to be regularly cleaned, and the oysters must be periodically graded as they grow.